Stadion Střelecký ostrov is a purpose built football stadium located next to the Vltava River in the city of České Budějovice. 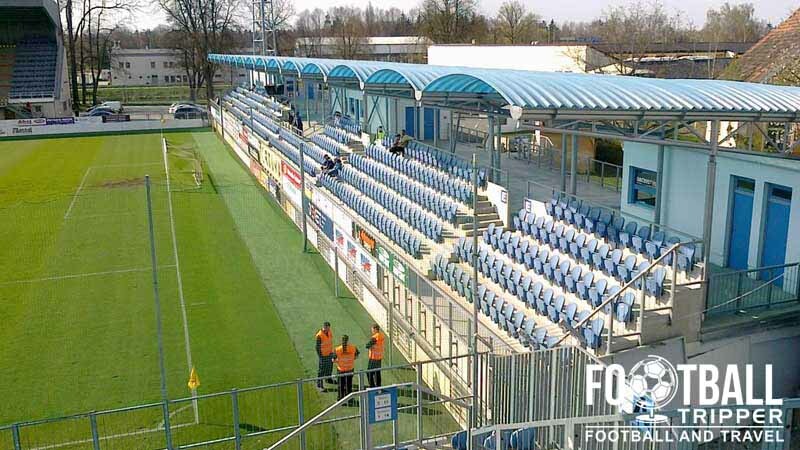 Home to occasional Czech First League side SK Dynamo České Budějovice, the ground has a current capacity of 6,681 and was last renovated between 2003-2008. The site on which today’s Stadion Střelecký ostrov sits on has been used to host football matches of České Budějovice since at least 1940 when the first stadium officially opened. 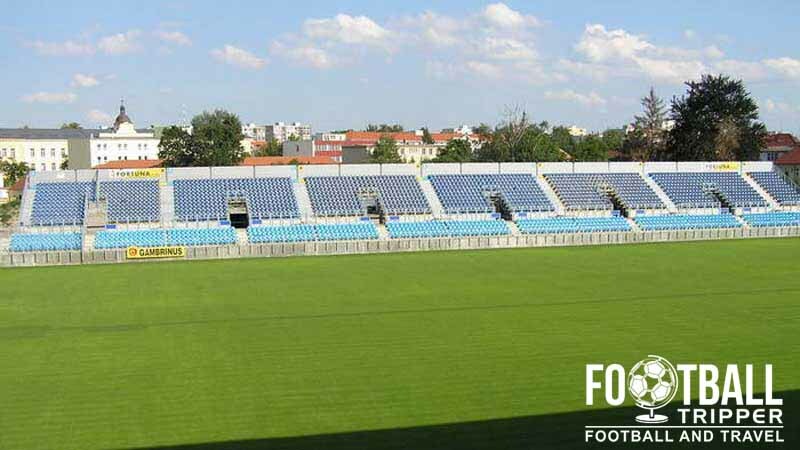 Naturally the stadium has undergone many renovations over the years with the most notable occurring in 2003 after České Budějovice were promoted back to the Czech First League. Before the renovation occurred the stadium technically had a larger capacity as it was capable of accommodating 12,000 supporters however only 1,500 of those were seated. 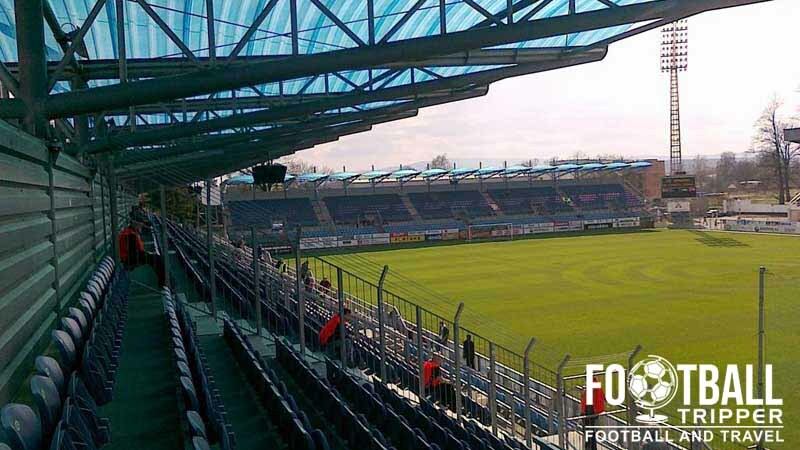 After the reconstruction the seated capacity increased to 6,681, and fully adhered to the stadium regulations of the Czech Football Association. 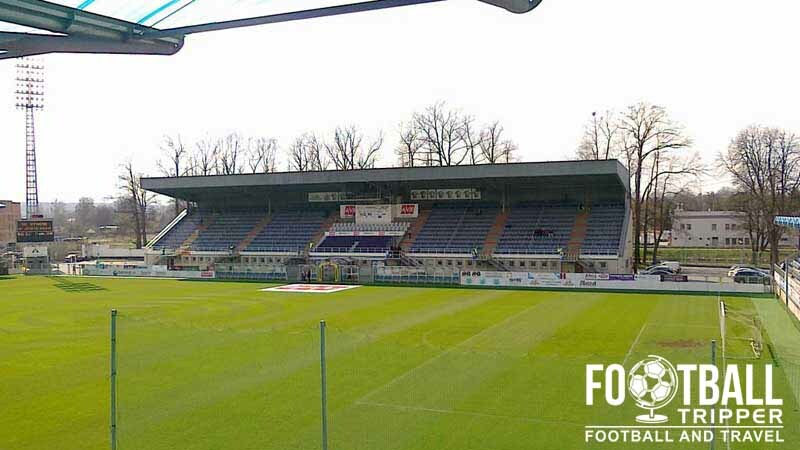 The ground has traditionally been known as Stadion Střelecký ostrov which loosely translates as Shooter’s Island Football Stadium. During the 2008/2009 season the ground was known as the E.ON Stadium after the energy company purchased the naming rights from the City Czech Budějovice. To date the highest level of football hosted at Stadion Střelecký Ostrov has been an international qualification match. Czech Republic took on Liechtenstein in a qualifier for Euro 2012, and defeated their neighbours 2-0 in a fairly routine victory. The newly refurbished stadium has yet to host European football so far. 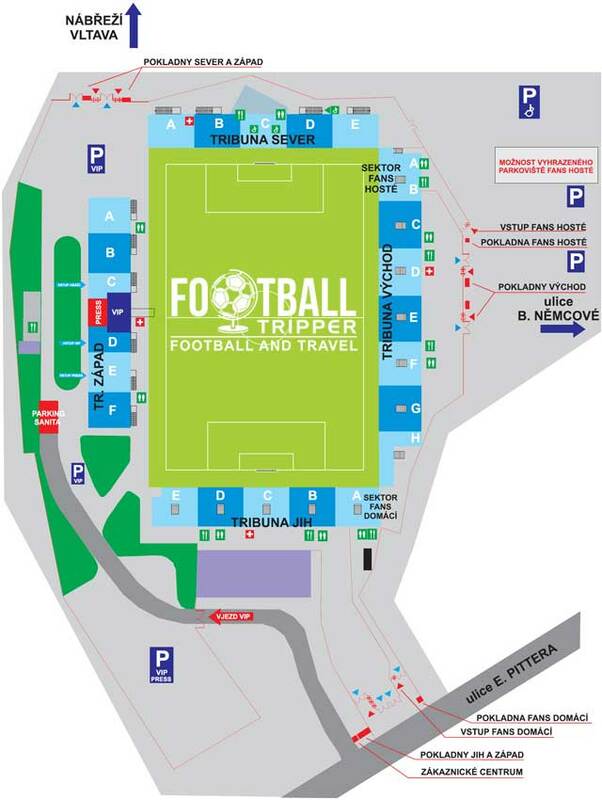 Stadion Strelecky Ostrov is comprised of four stands: North, East, South and West.